Arise, awaken, and do not stop until the goal is reached! Welcome to Q Research Board INDIA edition. We welcome all 1.3+ billion Indians from across the globe, as well as anyone with an interest in Indian affairs to visit, learn, and contribute to our humble board. We invite you to join the struggle led by Q that has spread worldwide. Please feel free to share and discuss news, current/historical events, research on any pertinent topics, and of course memes. Memes have become arguably the most effective weapon to communicating on the Internet and are one of our greatest assets. If you have any questions, please do not hesitate to ask. And remember...don't feed the shills! "Twitter forms internal team for upholding electoral integrity on platform in India"
Microblogging platform Twitter on Thursday said it has formed an internal cross-functional group to lead "electoral integrity work" in India that will proactively support partner escalations, and identify potential threats from malicious actors. Indian space agency, Indian Space Research Organization (ISRO), will now be able to sell its research and development work in space technology to private players in India. To recall, ISRO, which possess 17 million gigabytes of massive geo-spatial data to be explored, has already opened up its indigenous technology of lithium-ion batteries to local startups in June last year. Last month, ISRO announced that it has selected ten companies for transfer of its Lithium-ion cell technology. This move from ISRO and the govenment will definitely prove as landmark decision to change course of Space Technology industry in India especially start-up ventures, which are more keen on e-commerce and online ventures and show virtually no interest in space tech domain. Moreover, the decision will also allow private companies to access the breakthrough technologies that have remained in ISRO’s “Walled Garden”. The new company, the name of which is yet to be finalized, will take license from DoS/ISRO and sub-license to industries for the technology transfer from ISRO. Productionisation of PSLV through industry; productionisation and marketing of space-based products and services, including launch and applications; transfer of technology developed by ISRO Centres and constituent units of DoS. Recently, ISRO announced Young Scientist Programme where in the space agency will encourage young students in India to develop ‘scientific payloads’ that can be launched by ISRO. Welcome Research General INDIA. Good luck and God Speed. Welcome India, from USA here, but I have had the opportunity to visit your great country. The Great Awakening is worldwide. You are being mentioned in dispatches! Welcome, friends from India. You must be doing something right, you've already got shills (though they won't appreciate me saying that). 19 years ago in this month, I was at a yoga retreat in Rishikesh. Who knew India could be so cold, especially at night? It only got up to 70 degrees F one day; that was the day we bathed in the Ganges. (Not very appealing when it's cold!) I was in an Indian-based Sufi group and so felt quite fortunate to be able to visit there for a month. Very special time. India's Supreme Court has ordered its government to evict a million people from their homes - for the good of the country's wildlife. The ruling, issued Wednesday, was a startling conclusion to a decade-long case that has pitted the rights of some of India's most vulnerable citizens against the preservation of its forests. The court told the government to evict over a million people - mostly members of indigenous tribes - from their homes in public forest land because they had not met the legal criterion to live there. With over 700 tribal groups, India is home to over 100 million indigenous people. While the forest land is legally controlled by the government, people have lived in such areas for centuries. A landmark law passed in 2006 gave legal rights over forest land and its produce to tribes and forest-dwelling communities provided they could prove that their families have stayed there for at least three generations. The battle for mineral-rich forest land is not new in India. The ruling is the latest flash point in the competing interests of industry, wildlife conservationists and forest communities. Can someone help me please with translating this word into Hindi presuming that the writing on top of this logo is indeed Hindi. India is next. Kidding - India has its own problems. I think you can help me. Here in America we have this one naughty girl, Kamala Hariss. >>> to the United States from Madras (now Chennai) in 1960. >>> neighborhood of Chennai, Tamil Nadu. I suspect that he may have had some views that were quite different to those of his grand-daughter. Islamabad: Pakistan's army chief, Qamar Javed Bajwa, has spoken with top military officials from Australia, Britain and the United States, a military spokesman said, amid a volatile stand-off with neighbour India in Kashmir. The Pakistani spokesman, Major General Asif Ghafoor, said in a tweet that Bajwa had discussed the stand-off and "its impact on peace & stability in the region" in a call with US CENTCOM Commander General Joseph Votel as well as with top British and Australian military figures on Friday. Bajwa told them Pakistan would "surely respond to any aggression in self-defence", according to the Twitter post. Ghafoor said Bajwa had also spoken by phone with the ambassadors of China, Britain and the US. It is unclear whether countries were asked to make a military contribution to Pakistan's side of the conflict. The news comes as Pakistan on Friday night, local time, released the Indian pilot it had captured when it downed two Indian planes on Wednesday. Pakistani officials brought the pilot, identified as Wing Commander Abhinandan Varthaman, to the border crossing with India at Wagah and handed him back to India. On the Indian side of the border, Indian officials greeted the pilot who was in a dark blue suit, accompanied by a representative of the International Committee of the Red Cross. Islamabad has said that the handover was a gesture of peace that could defuse tensions and avoid another war between the two nuclear-armed neighbours. 2. Caps with info on authors, pubs with many articles & articles by date. * Almost 300 articles were added using Q's search algorithm. * These are MSM articles although there are a few videos, too. * Article trends/themes each month (updated to 2-28-19). * No. of MSM News Outlets with 5 or more articles (2-28-19). * Journalists with 4 or more Q articles (2-28-19). * 20-page list of articles by date. Plz note: The dramatic increase in articles this month is due to using Q's algorithm for finding Q references (Q #2801). There are still fewer than the 1000+ mentioned by Q because many authors just mention Q once; they don't have a lot of substantive info. This is also why I don't list very many tweets; not much there (unless there is some special significance). Some pubs have very few listings because they rely on reprints from AP or WaPo/NYT that are already attributed to the original source. I try to avoid duplicates. Due to corrections, sometimes totals may decrease (e.g., usually when duplicates or mistakes are corrected). >This is why we are here. You do need your own thread. There is soooooo much corruption to fight against in India. No one posts here because corruption is accepted, and therefore not exceptional, or 'notable". Why was Hillary Clinton in India 1 year ago? 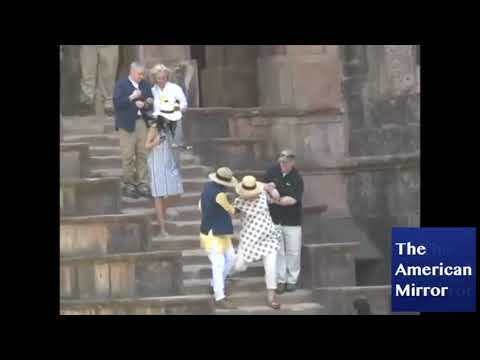 Hillary slips down stairs in India — despite two men holding her up. Clinton was in the country promoting her book, “What Happened.” Yes, she’s still bitter about losing to President Trump. >Hillary "parties" with richest family in India. >Also there, John Kerry, Arianna Huffington, Beyonce, James Murdoch (FOX), and Bob Dudley (BP). >Any coincidence that Sundar Pichai (Google CEO) is Indian and selling shares like a firesale? >Why would Bob Dudley of BP oil spill infamy be at a party with Hillary Clinton in India. >Bob Dudley stepped in to smooth things over for Tony Hayward (of BP oil spill) in 2010. >How was Hayward rewarded? With a fat contract from Nat Rothschild. >Back in 2009, Hillary went to India to meet with India's richest, including Mukesh Ambani, whose wedding event she just attended. >Around 2015, there was a huge meeting called the Breakthrough Energy Coalition. >You may recognize some of the names on the list. >Many of the names on that list shouldn't surprise. But one name stands out to me. And Obama Foundation donor. >John Doerr. It's interesting to note wikipedia doesn't mention a thing about him being the director of Google (Alphabet). here are a few memes we made over a year ago. 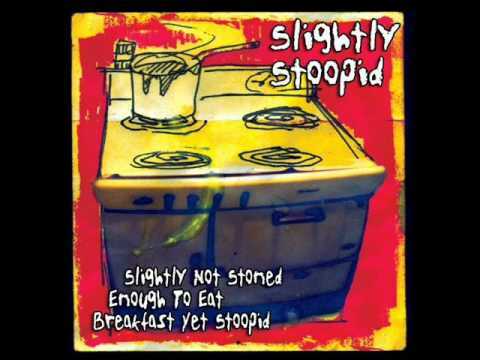 useful to wake up sleeping ignorant friends. please, can someone make a version in your language and share it with the other anons in the our "country rooms" and in general? We also asked the spanish and german anons. These are in dutch, french and english. Looking forward to the version from India!! Hello INDIA!!! Best wishes from Spain. All united against the EVIL. Please India Anons, make your translation and share with us. ...So nothing anyone here does or anything Q says matters because you can twist it to whatever... Maybe I don't understand. This seems pointless then.